Are you too busy to make time for your workouts? If so, you haven't tried kettlebells or learned the right combination to have the most effective workouts. And yes, these workouts can be done in under 30 minutes!! 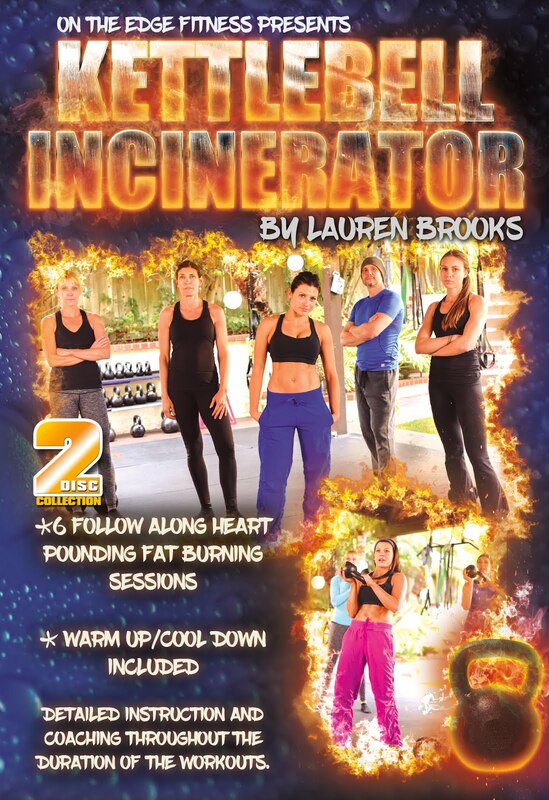 Come spend just 3 hours in a very small group setting learning, from Lauren Brooks, the best exercises that can turn your body into a powerful, fat burning machine. This workshop will take place in an outdoor setting at a private residence in Encinitas, just north of beautiful San Diego. The group size will be VERY limited so that my assistant and I can provide lots of hands on attention. What will you learn at this quick 3 hour kettlebell workshop? - You will take home a plan of attack full of kettlebell and bodyweight workouts that will improve your entire body while finally saying goodbye to those fat cells! You don’t have to worry about there being any fluff or filler with the amount we will be covering in 3 hours. This workshop will be straight to the point and mostly hands on. Quick demonstrations, quick explanations, with not too much lecturing since I really do not like to hear my own voice. I will only show you exercises that I use personally and will go hand in hand with your fitness goals! If you are looking to sit down and listen to someone lecture at you, then this workshop is NOT for you. This workshop is designed for people who don't have time to waste and want to learn quality information in a short period of time. I know first hand how valuable time is, especially with having 2 young kids, one older boy (my husband) and running a successful fitness/nutrition business. Short workouts are my only option and they work! 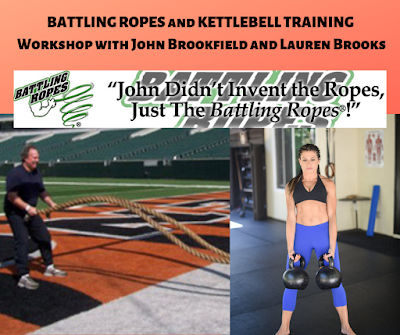 Sign up now to reserve a spot in this unique fast track Kettlebell Workshop. The price is only $169. SOLD OUT! As an at-home exerciser over the past 10 years, I own and use over 30 advanced exercise DVD’s in addition to a full arsenal of equipment to accompany these workouts – dumbbells ranging from 3 lbs to 20 lbs, Power Blocks up to 65 lbs, 3 barbells, 150 lbs of weight plates, a bench, dyna bands, stability ball, Bosu ball, and pull up bar. Recently I discovered Kettlebells and Lauren Brooks' Ultimate Body Sculpt and Conditioning with Kettlebells DVD. 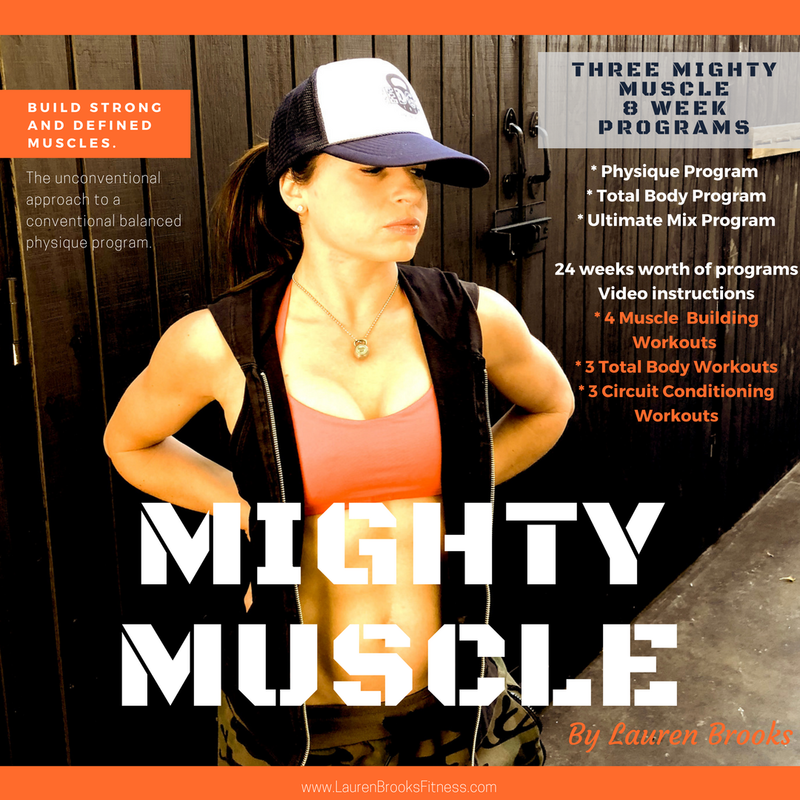 This phenomenal DVD and my 2 kettlebells have now become the most powerful, effective and efficient tools that I own. The production of your first DVD was done so well and very professionally. As many Cathe DVDs that I have, I don't believe I have one as flawless as your DVD. That being said, and after meeting you and experiencing your class, I am already sold on any DVD (or anything) that has your name on it! Sincerely it is the best! The presentation is direct and personal.The explanations and demonstrations are clear and understandable,especially for old folks who are 80 years old.. Thanks for your help and God bless you and your precious family. 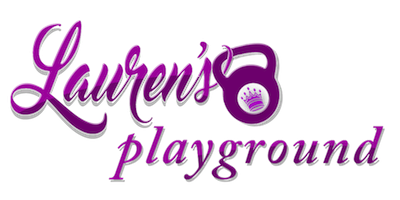 Lauren is hands down one of the most cutting edge trainers in Southern California! She consistently continues to educate herself from the World's elite strength professionals. What does that make her? A World class strength professional herself. Lauren is not only extremely gifted as a teacher, she is naturally encouraging and optimistic. Frankly stated, I recommend Lauren to anyone who wants a genuine person who can offer you cutting edge training methods to get you to your goals!!!!! As kettlebells are becoming more popular in the United States, so are the KB instructors that promote their use for fitness goals. 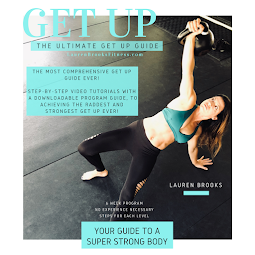 After purchasing most of the kettlebells videos on the market by the professed "big boys" of Kettlebell mania, I can only say that Lauren's new video stands alone and stands strong. 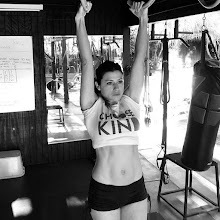 What struck me immediately is that she has the ability to break down a kettlebell exercise and make it extremely user friendly. Her video presence is genuine and straight forward...no bravado or marketing gimmicks. 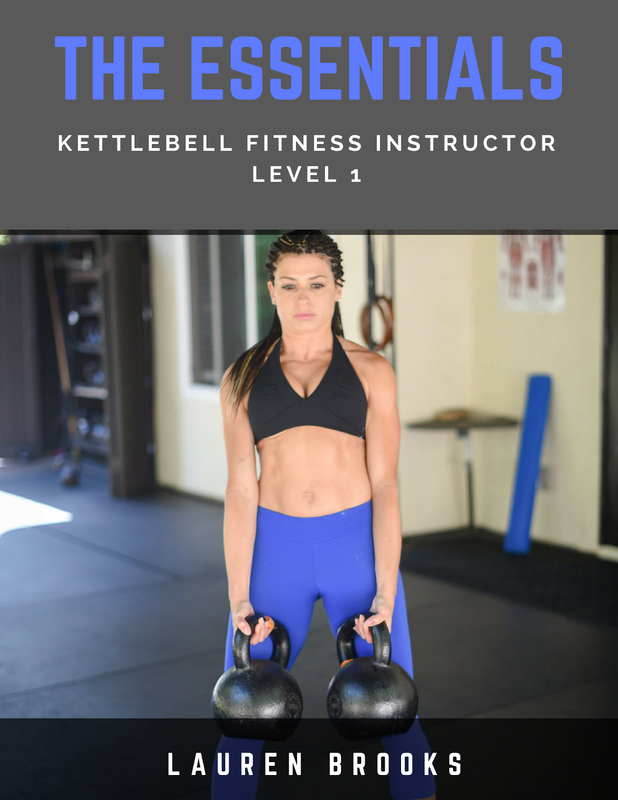 It is perfect for the beginner who may be intimidated by the newness of training with kettlebells or the seasoned kettle bell user. The video is extremely user friendly which is easily followed, especially her narrative as she progresses through each exercise and work out. I would recommend this video to anyone wanting a foundation in the proper use of kettlebells and training work outs. 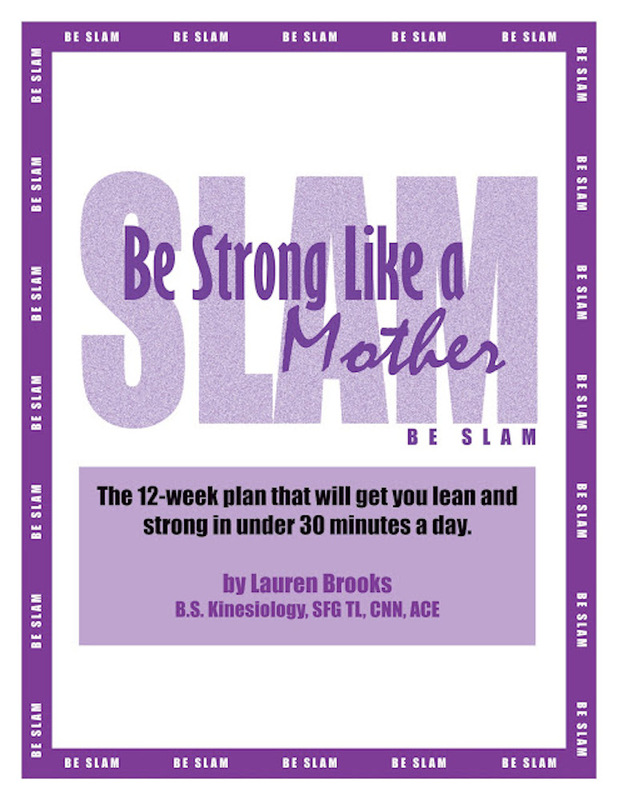 She is a powerhouse trainer who keeps it simple and keeps it real. To find out more about what others are saying about my teaching read my testimonial page. Or you can see reviews of my last 2 workout DVD's right here. To see last workshop that was held downtown San Diego click here. So cool, wish I could do the workshop, it sounds fantastic! Bummer I have to work at a tradeshow that weekend :(.